Last April 14 marked the fifteenth anniversary of the Human Genome Project’s completion. This initiative made for a turning point in the history of biology: while in 1990 somewhat less than a hundred genes related with diseases were known, by 2003 this figure had risen to some 1,400 genetic sequences. Growth would become exponential over the following years, thanks to the spectacular development of mass sequencing techniques. 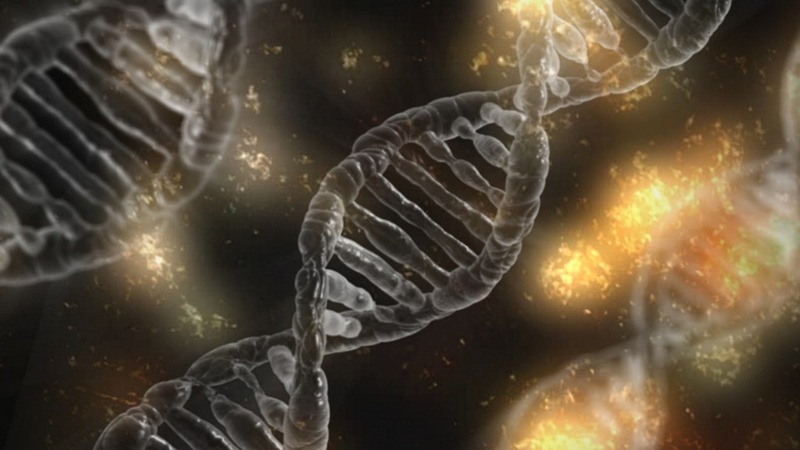 DNA analysis has enabled researchers to identify the genetic origin of many diseases, improve medical diagnostic techniques and develop therapies for various pathologies. Nonetheless, this type of research has been characterized by its study of the genome in a single dimension. The problem is that despite its relevance, the information obtained may mask important parameters in the regulation of gene expression in particular and cell biology in general. “The vast quantity of studies in 1D genomics over these years have proven that the analysis of gene sequences, although it does contribute valuable information, is not enough to understand the origins of complex pathologies,” states Modesto Orozco, chief of the Molecular Modeling and Bioinformatics Laboratory of the Institute of Biomedical Research (IRB Barcelona). According to a study published in Nature Review Genetics, the three-dimensional organization of the genome, “can have causative roles in the regulation of gene expression, whereas in other cases it is modulated by gene expression.” Transitions in the three-dimensional chromatin structure “are typical of development and cell differentiation, and are often dysregulated in disease processes,” state researchers from the National Centre for Scientific Research (CNRS) and University of Montpelier. The three-dimensional configuration that the genome acquires is complex, dynamic and crucial in the regulation of our own genes, according to a collection of studies recently published in Nature. “Connections can be masked (in 1D genomics), and that is probably because they depend on a 3D signal, which has to do with how the genes are folded inside the nucleus and how and when they are made accessible to the cell,” explains Orozco. To understand what really occurs inside the cells, dozens of researchers around the world work in what is known as 3D Genomics. The main goal is to go from a one-dimensional focus to another in which the role of chromatin folding and its structure is understood in the functionality of the DNA, something that scientists have dubbed the “Google Earth of the genome”. This concept was explored at a recent congress held in Barcelona. For example, scientists are beginning to understand how structural variation influences genetic diversity and the development of certain diseases, including cancer. Another interesting aspect is the relationship between the mechanical forces cells are subjected to in the structural organization of the DNA and gene expression itself. In any event, scientists are analyzing these possibilities from a basic research approach, far from clinical practice. It is also clear that the scientific community is following these developments with growing interest. One of the most recent projects, which has received European Union support, was named Multiscale complex Genomics (MuG). This project is within the Horizon 2020 program and seeks to create a package with the protocols, methods and processes necessary for research of 3D genomics. According to the project’s factsheet, its goal is to prevent the collapse of studies in this discipline due to the lack of appropriate infrastructure, concentrate the scientific community and support its approach to Big Data, and last, offer a three-dimensional image of the genome. The MuG project has six European research reference centers, among which are the National Center for Genomic Analysis (CNAG-CRG), part of the Centre for Genomic Regulation , the Institute of Human Genetics of the National Center for Scientific Research (IGH-CNRS), the University of Nottingham, the IRB of Barcelona, the Barcelona Supercomputing Center and the European Molecular Biology Laboratory (EMBL-EBI). Their advancements will lead the scientific community to understand previously-unknown aspects of the genome, especially as regards its structure, function and regulation, that could have a major impact on the knowledge of numerous pathologies.